Work to create a network of nectar-rich habitats along the Ayrshire coast has taken a step forward thanks to funding from The R&A. 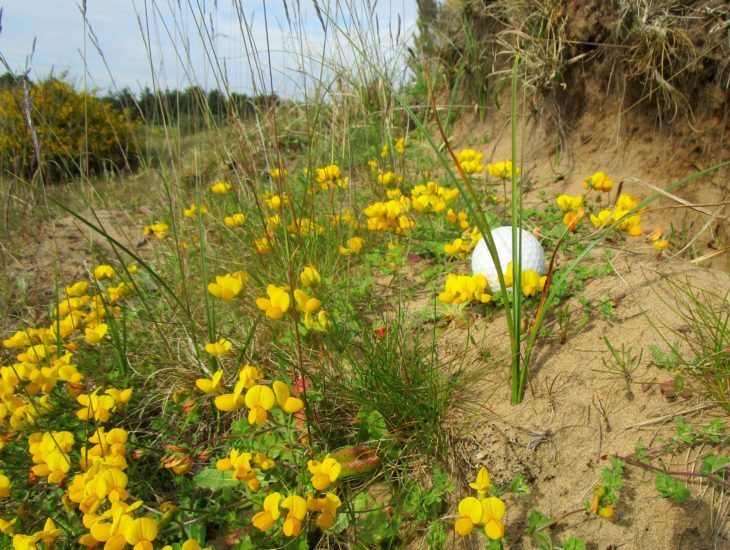 The support from the organisation has enabled the Irvine to Girvan Nectar Network, a partnership project managed by the Trust, to appoint ecologist and keen golfer Tracy White to help local golf courses to become better places for pollinators. Tracy said: "One of the reasons I enjoy playing golf is the wildlife that you can see during a round so it's great that so many courses are keen to give nature a helping hand. I'm really looking forward to working with the course managers to find out what they have got planned and help them to create new habitats for pollinators." "There are lots of different ways that golf courses can help. These include making sure that roughs are cut occasionally and sowing wildflowers to ensure there is a mix of plants that suit different kinds of insects." "We're losing wildflower meadows and other nectar-rich habitats at an alarming rate but fortunately many organisations and people across Ayrshire are keen to help. The Nectar Network is about sharing the expertise, resources and volunteers that can make all the difference." Steve Isaac, Director - Sustainability at The R&A commented: "The R&A is delighted to support this project, which demonstrates how golf can work in partnership with other businesses at local level to benefit the environment." The Irvine to Girvan Nectar Network aims to establish nectar and pollen-rich sites along the Ayrshire coast to ensure their long-term survival. It is a partnership of businesses, golf clubs, local authorities and their neighbours, working together to provide land, materials, expertise and funds to tackle the issue. The Trust is a key partner in the network and is managing the project in 2017. The Nectar Network also supports other landowners in the area, provides volunteering opportunities and gives Ayrshire people the chance to be part of a growing movement.